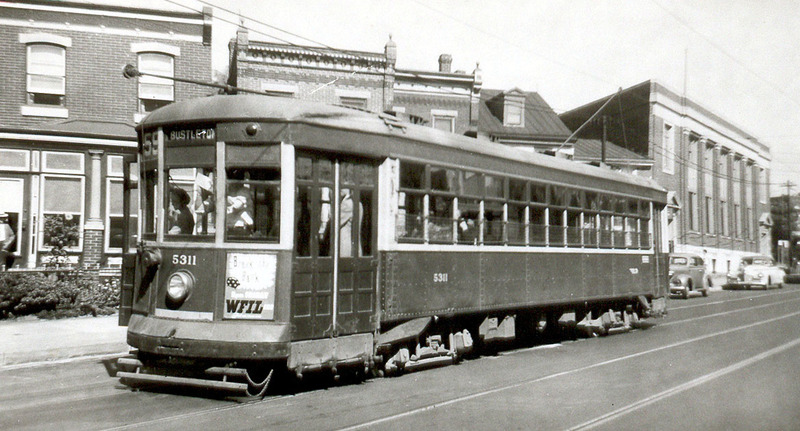 Thanks to the folks at The Electric City Trolley Museum Association (linked by RockinRob on Phillyblog) http://www.ectma.org/index.html I am posting a link to an old picture of Oxford Avenue between Penn and Griscom. I would have some trouble dating this shot but the cars in the background look 40ish. The building is the old Bell Telephone office on the corner of Penn and Oxford. The houses behind the trolley are either converted to businesses or in some case gone and replaced by other buildings. What do you not see in this picture? Trash on the street. That block is littered with paper and empty drink bottles today. Why? Well people are lazy and drop things right where they stand. Don’t blame anybody else. It’s the people who walk up and down that street.